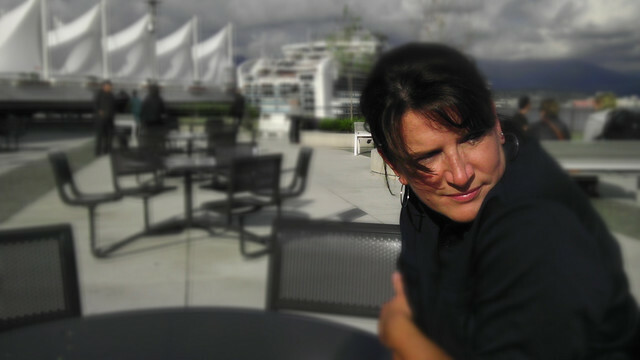 Kevin took this picture while we were waiting to board our cruise ship in Vancouver, Canada in October 2013. We were cruising to Alaska. And though I had to talk Kevin into this cruise it actually ended up being the best cruise we’ve been on so far. (And judging by my flushed cheeks, I was having a hot flash).